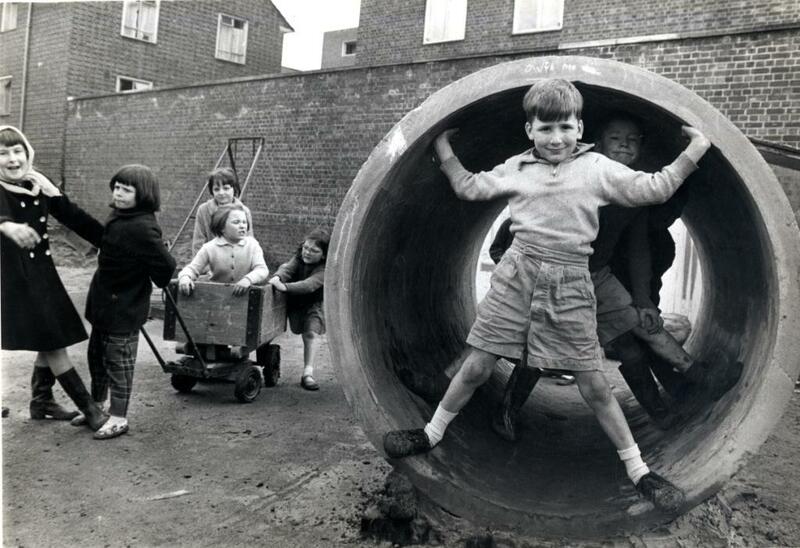 Adventure playgrounds were a feature of childhood/adolescence which passed me by really. I wasn’t brought up in London and they were mostly I think a phenomenon of urban life. 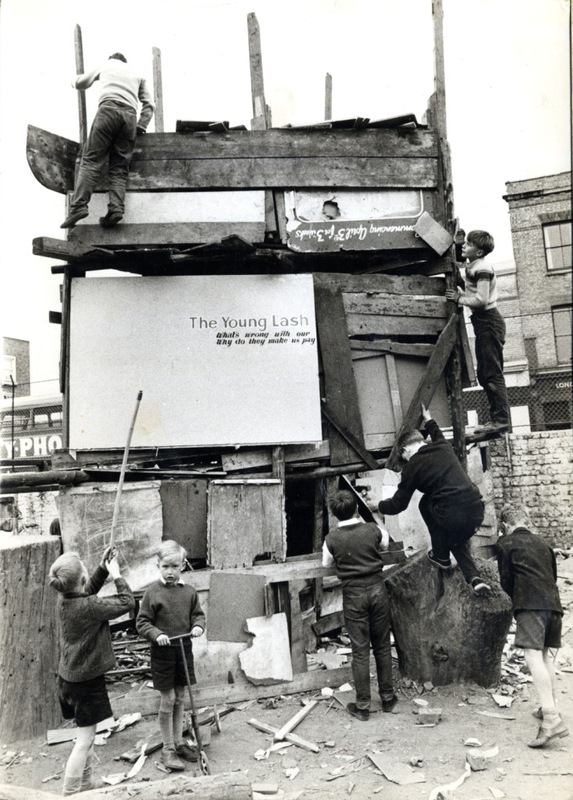 I saw plenty of them when I first came to London in 1973 – brightly painted constructions of wood, behind fences, teeming with kids and I had the vague sense of having missed out on something. If you come from a small town, urban life, even the life in what might be called “deprived” areas looks exciting. 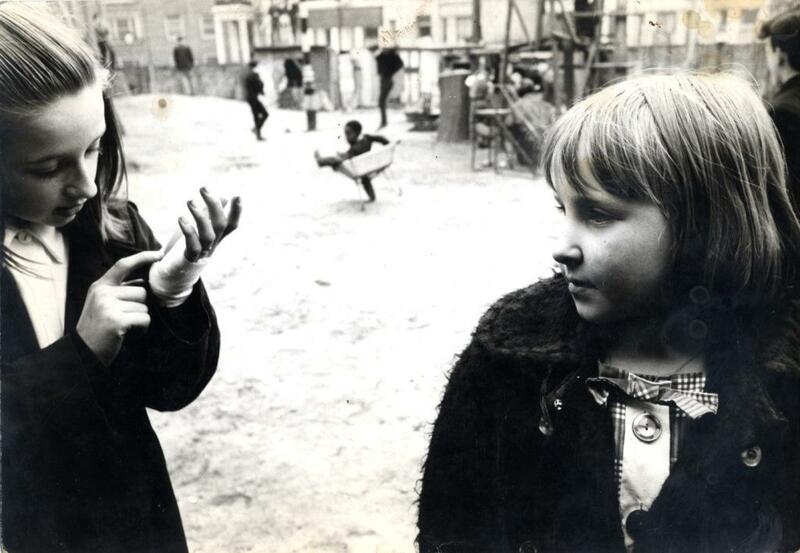 So when my colleague Tim showed me a packet of photos of the Notting Hill Adventure Playground in Telford Road that he’d retrieved in the course of an enquiry, I was fascinated by these scenes of communal play. The blogging cells in my brain immediately recognised them assomething you had to see. Most of these pictures come from a large packet of photographs donated to theLibrary in 2000. They’re hard to date precisely but they seem to fall into two main groups, one from the early 1960s and one from the late sixties or early seventies. 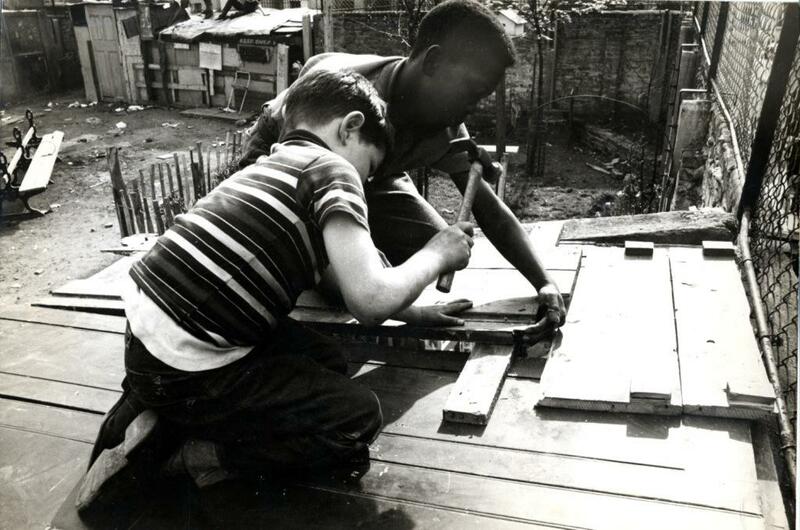 The Notting Hill Adventure playground was started in the late 1950s on some waste ground in Telford Road. 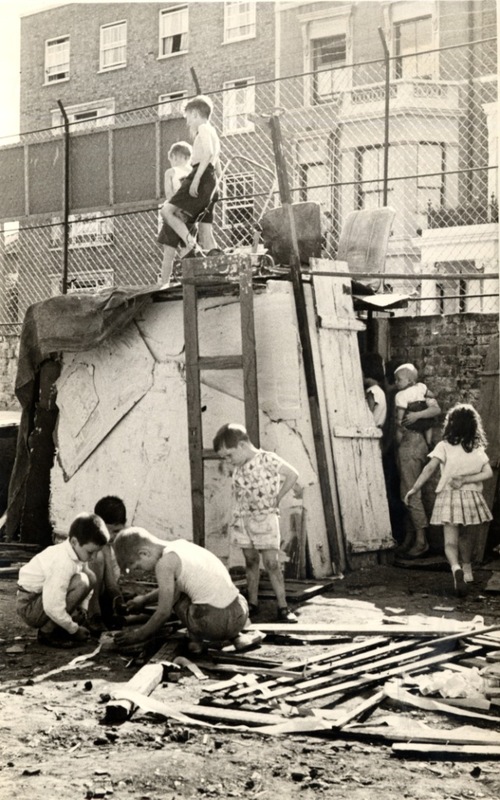 The first adventure playground seems to have been built in Copenhagen in 1943 by a landscape architect, C T Sorenson who noticed the propensity of children left to their own devices to avoid purpose built playgrounds and resort to building sites and waste ground. He thought that by making waste building materials available, children could have play that had an element of risk without being life threatening. In pragmatic Scandinavian fashion he showed that this was also a way to reduce vandalism and other forms of juvenile delinquency. 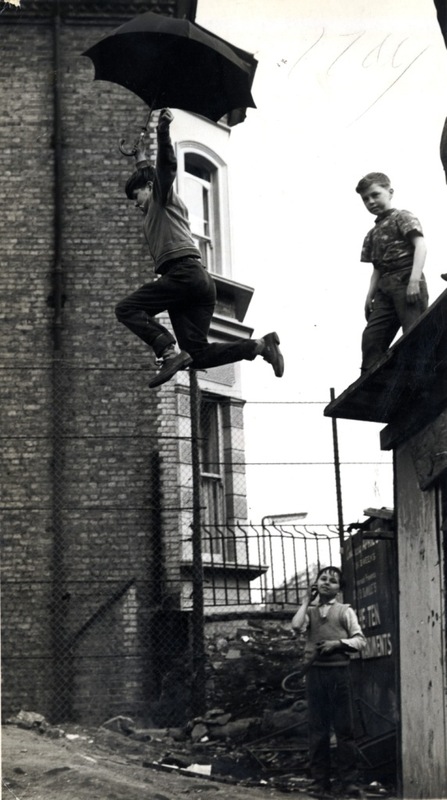 London, which had plenty of bomb sites in the post war period was an ideal place for adventure playgrounds to spring up, and the idea spread to many cities. 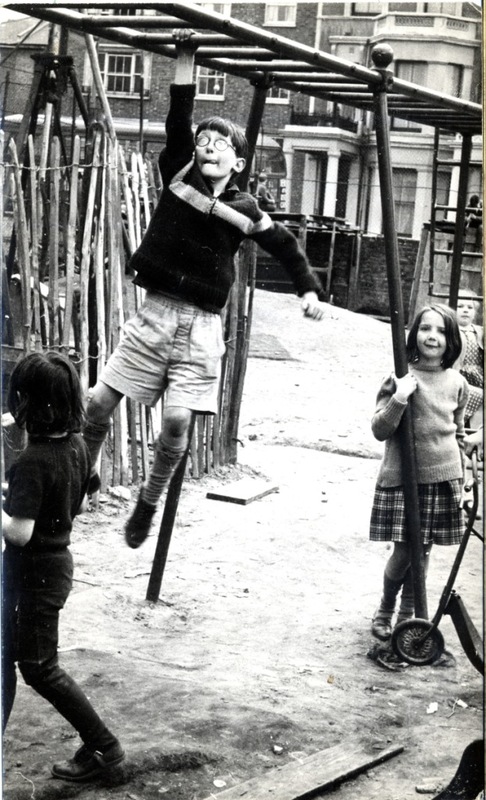 This umbrella leap is from 1963 – the image was used as part of an appeal for the London Adventure Playground Asociation. In the early days children, under the supervision of a warden built from scratch. The play began. Climbing, swinging and just hanging around. It reminds me of womble, muck and sneedball – the games played in Quentin Blake and Russell Hoban’s “How Tom beat Captain Najork and his hired sportsmen”. I would have inserted a quotation at this point to convince you but I can’t find a copy of the book right now. Maybe later. 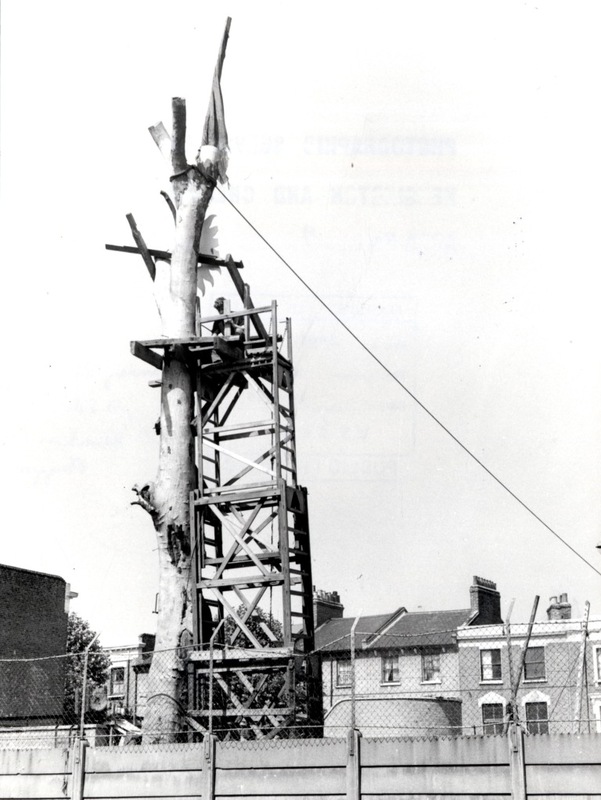 The playground outgrew its original site and the Council provided a larger one where Telford Road and Faraday Road intersected with Wornington Road. The new site was a little more structured. There was a building for indoor play with on site facilities. But the playground retained its makeshift character. 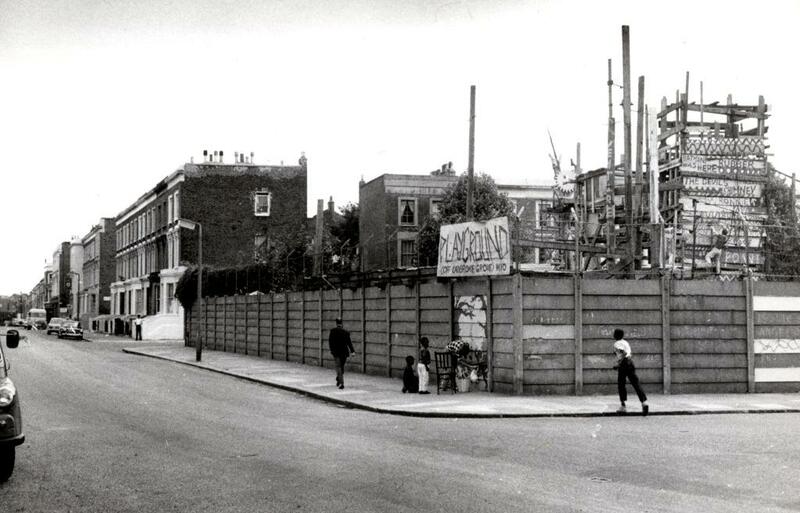 That tower visible over the wall in a picture which I can date precisely, from 1969 brings me back to the advenure playgrounds I remember from London in the early 1970s. 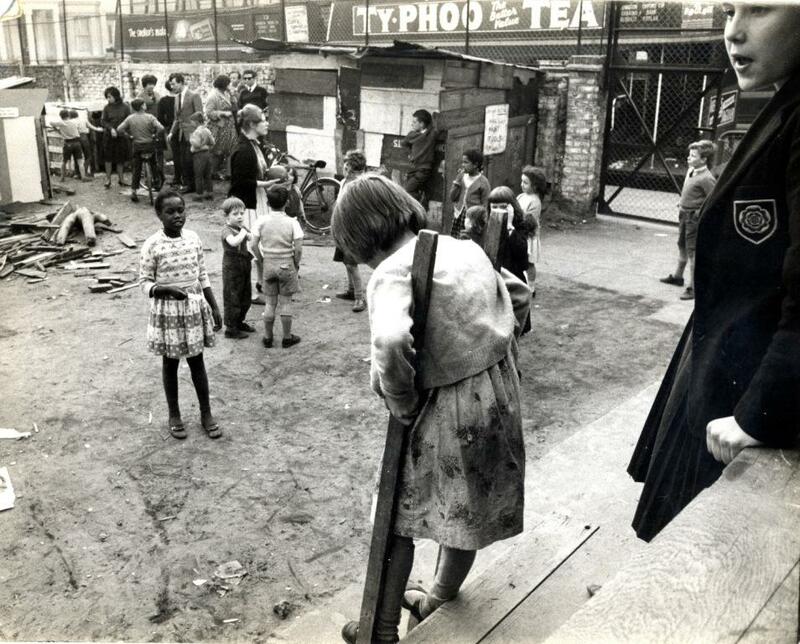 It has a slight counter-cultural air about it, like many places in North Kensington in that period. Messing about with building materials. Or just hanging around with your friends. These pictures show the irrepressible nature of childhood. 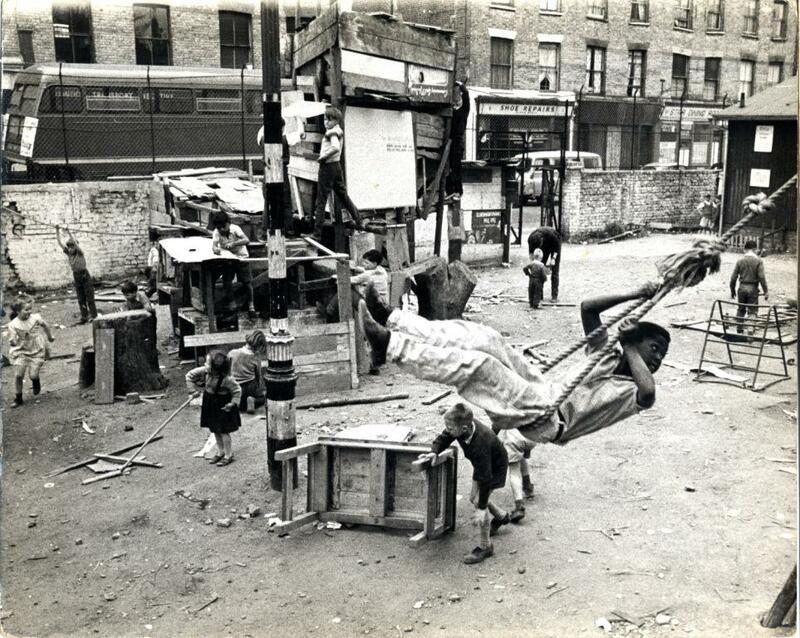 Despite the changes in the streets around it the Notting Hill Adventure Playground continues to do its work. I observed last week that Chelsea people have long memories. This also applies to North Kensington people so if you recognise yourself, or anyone else in these pictures let me know. 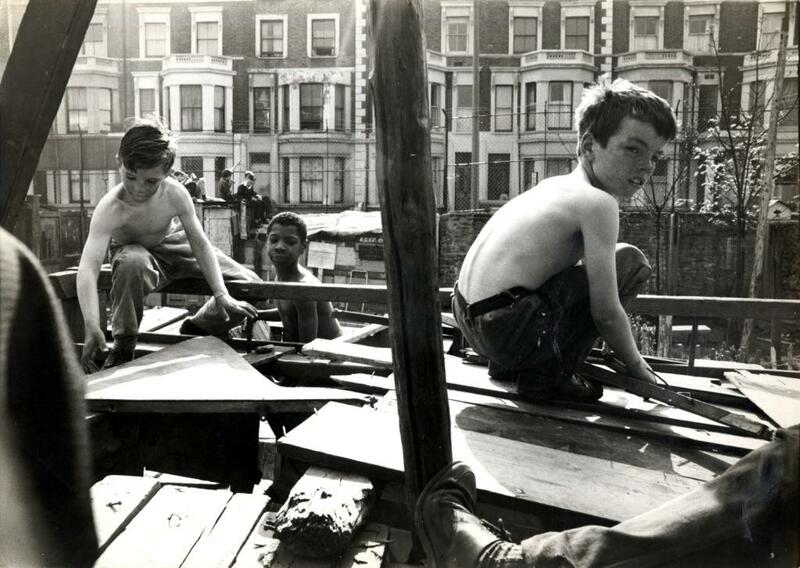 You can find a documentary about the playground from 1960 here: http://www.nhh50.com/?videos=this-is-our-playground-1960 on the website of the Notting Hill Housing Association and on YouTube. Next week it’s the annual Halloween story when we stray away from fact and let imagination have a go at some pictures. Don’t believe anything you read. 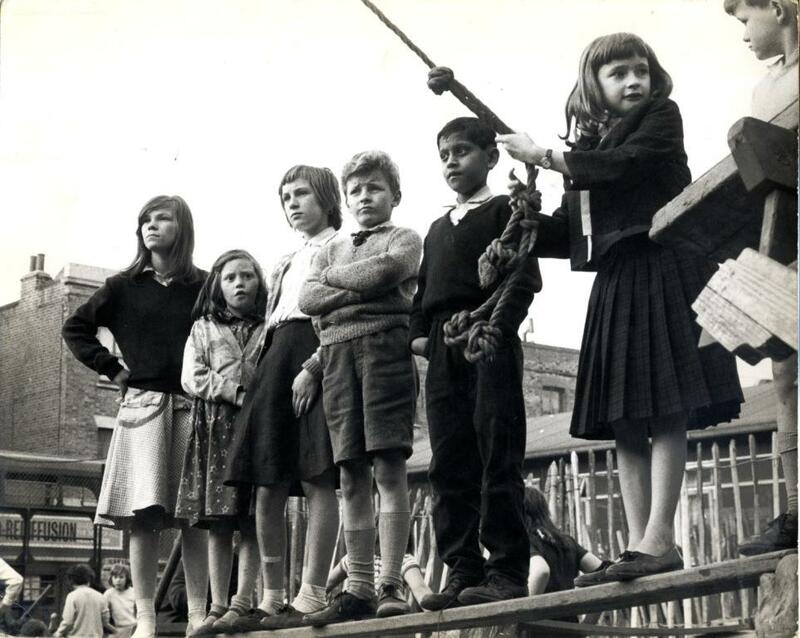 This entry was posted on Thursday, October 23rd, 2014 at 12:21 am	and tagged with Faraday Road, Notting Hill Adventure Playground, Photographs, Telford Road, Wornington Road and posted in 20th Century, Kensington, North Kensington. You can follow any responses to this entry through the RSS 2.0 feed. Just love this photocentric post from The Library Time Machine. Thanks for sharing these images. I’m sure PlayGroundology readers will enjoy them. Hey Canada, what do you say, don’t we need a few adventure playgrounds sprinkled across the land? 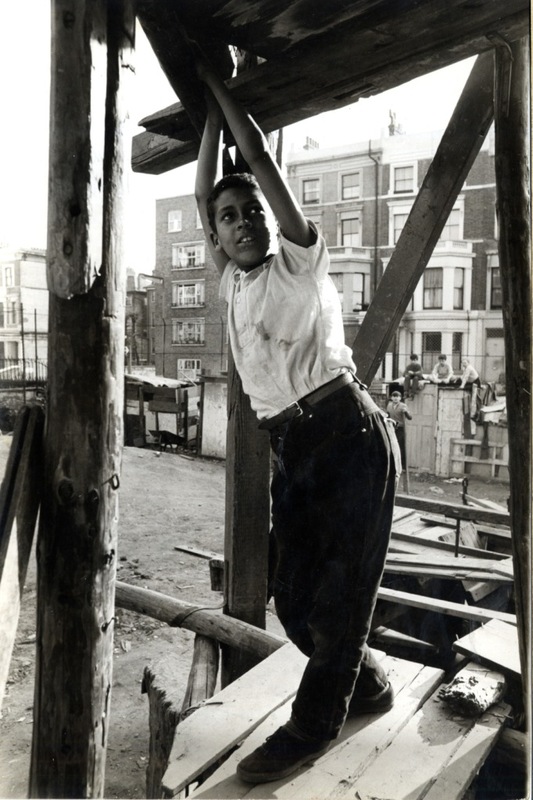 I love these photos of the Notting Hill Playground – I am currently researching adventure playgrounds so it was exciting to see some new images. Do you have any idea of who the photographer was? Sorry to take so long to reply, I wanted to go back and check the backs of the photos. 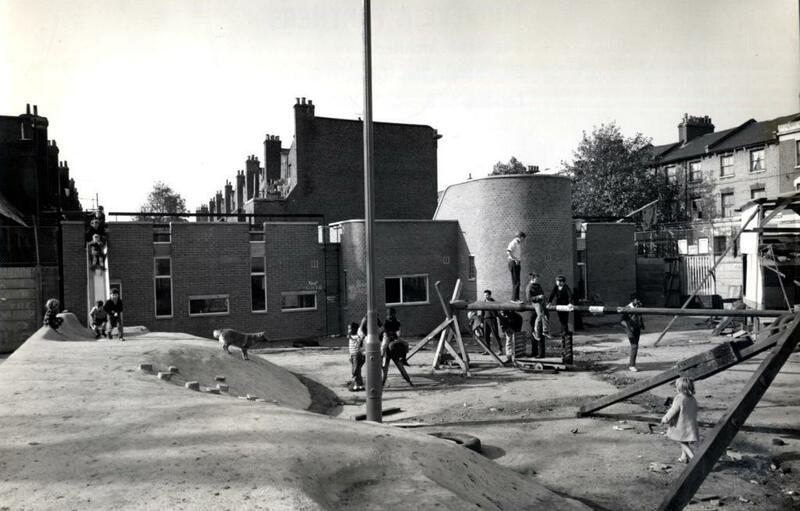 The two exteriors showing the playground from outside were by our then staff photographer John Rogers whose work you can see a lot of on other posts. The picture showing the facilities building was from some Council publicity material. All the other pictures of children at play were by unknown press photographers. We had them second-hand. If you are ever able to visit the library there are many more. Thanks so much for your reply about the photos. I’d love to come into the library some time to have a look at the archive. Imagine the council health and safety inspector coming around and seeing this today?! We were lucky that our parents still had a good pinch of healthy neglect which let us explore and take some risks. Meanwhile my husband and I have just debated letting our 14yo take his bike to school to ride on a dedicated bike track etc. Fantastic photos that brought back the memories. 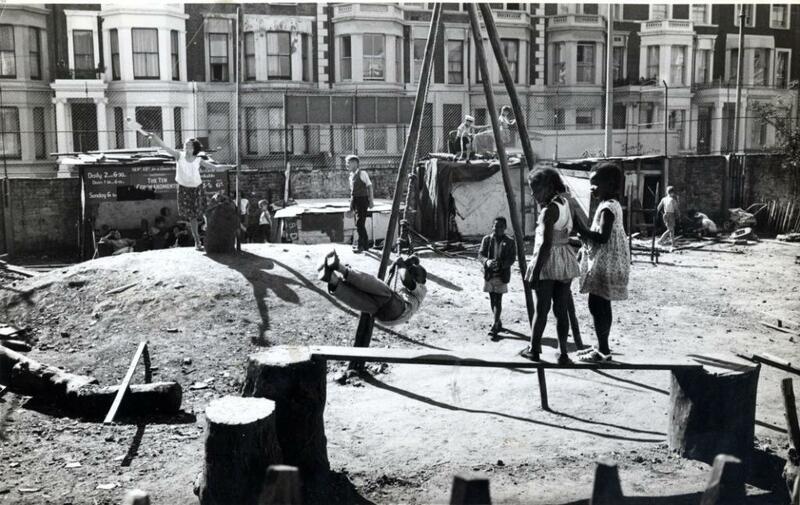 There was another adventure playground nearby in St Marks Park (aka Kensington Memorial Park in St Marks Rd) They were great places to play and to exercise one’s imagination. So what if the wood they used were old splintered floorboards etc that still had th nails in them? We had fun!